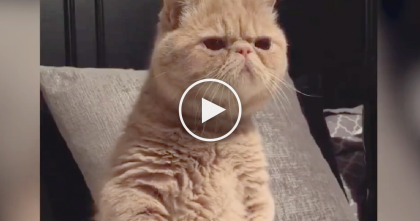 Watch cat’s reaction when he wants to go outside every day… It’s the CUTEST thing in the world!! This sweet kitty wants to go outside almost every day, but his reaction when he wants to be let outside is probably the CUTEST thing in the world – I’ve never seen such adorable paws waiving in this way! This kitty is SOO irresistible and cute, I don’t even know if I could say no! – Those adorable paddy paws are just too cute to say “NO” – This kitty will melt your heart to pieces, what an adorable polite sweetheart! How could ANYONE say “no” to this? ?… Just watch this cute video! 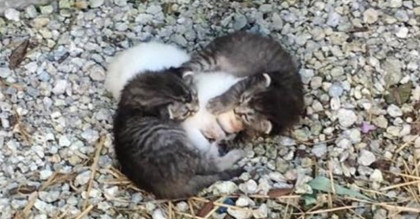 She’s Having A Conversation With Her Kittens, But Just Listen…Sweetest Sound Ever, SOO Cute!! 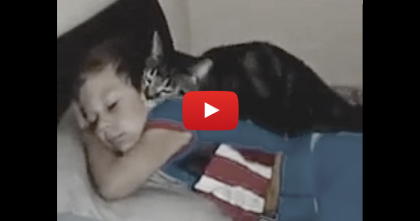 He Left For A Few Days, But When He Came Home… Just Watch What Kitty Does!! 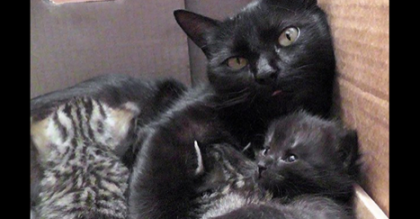 Kitty Refuses To Stand On 4 Legs, But Instead He Stands On Just 2… Can You Believe This?! 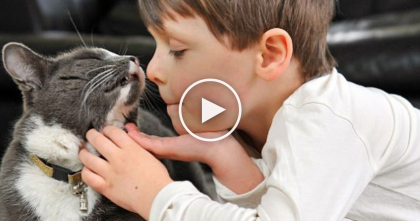 This Boy And His Cat Are Best Friends, But The Reason Why?… Now I’m In Tears.